JEJUDO ISLAND ― Nestled beside Halla Arboretum in Jeju, Korea’s first museum dedicated to computers and gaming is set to open at the end of this month. 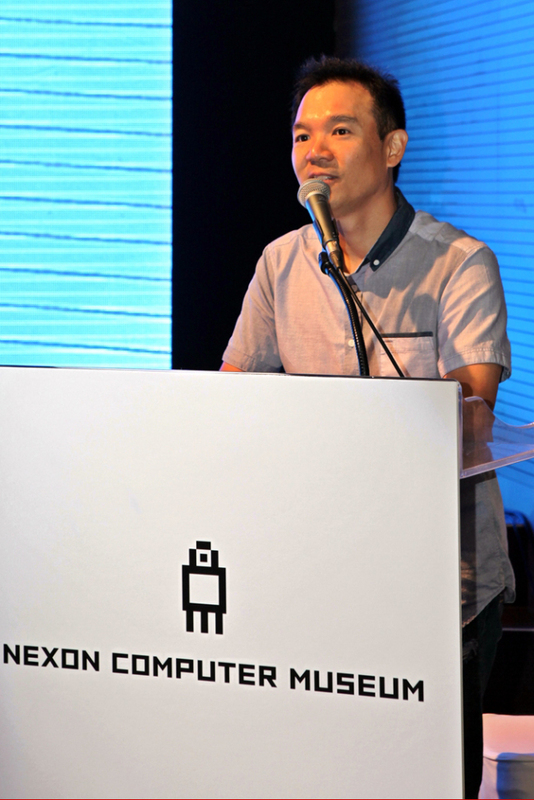 Nexon, Korea’s top company in software and gaming, on Monday held the Nexon Computer Museum media showcase event prior to opening it to the public around July 26 this year. “Our goal is to reinstate the concept of computer and game as a form of culture in order to preserve and celebrate the rich history of technological development,” said Kim Jung-ju, NXC chairman and founder of Nexon. At 2,445 square meters, the four-story museum will showcase approximately 1,800 items, ranging from a first-generation Apple computer to collectible classic arcade games. In fact, the fully functional first-generation Apple 1 is one of 200 that were originally developed by the cofounders of Apple, Steve Jobs and Steve Wozniak in 1976. 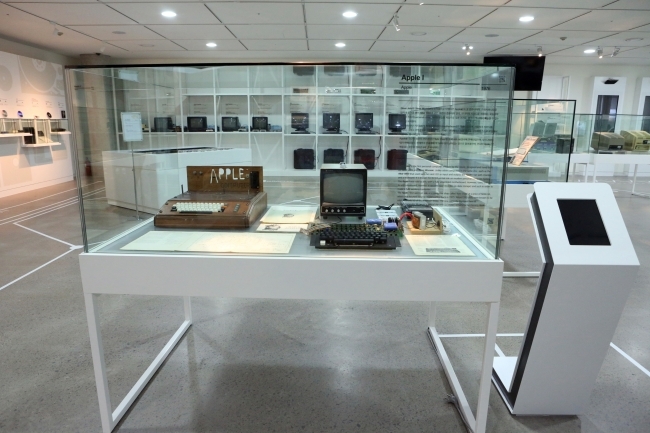 Currently, about 50 Apple 1s remain in the world, and NCM has acquired one of only six that are still fully operational. On the first level, visitors are welcomed to the stage with the theme of “Computer as Theater” where a super-sized computer motherboard provides visitors with in-depth, first-hand experience of historical innovation in personal computing. The “Open Stage” on the second floor features the theme “Between Reality and Fantasy” where visitors can engage in different genres of games from the past ― such as 1970s shooting games ― and also experience and visualize the future trends of the gaming industry. The “Hidden Stage” on the third floor then leads to the “Real Revolutionary” theme where major innovations in personal computing technologies, such as GW-BASIC and MS-DOS, can be seen. The special exhibition hall in the basement highlights the major historical achievements in arcade games ― from Pong and Computer Space to 1980s and 1990s favorites. For 10 years the Nexon chairman has been collecting these valuable items with an ambition and goal to build a computer museum in Korea. The Apple 1, for example, was acquired last year by NXC at a Sotheby’s auction in New York for a handsome winning bid of approximately 430 million won ($38,000), according to the company. “By opening the nation’s first computer museum here in Jeju, we hope to contribute not only to the local economy and culture but also to the process of realizing the creative economy on the national level,” said Kim Jong-hyun, director of business planning at NXC. The company’s investment into NCM is estimated at 15 billion won ($13 million).